When I officially retired my overalls in the mid '90s, I vowed to never let them enter my wardrobe again. But like most trends, they've come back around, and I have to admit that if they're done right, I really, really like them. I'm especially smitten with this pair. They look like denim, but they're made from 100% tencel, which is not only pretty much the softest fabric ever, it's also eco-friendly. (I use a lot of tencel blend fabrics in my eco-clothing line). They're so perfectly styled here too - paired with the patterned cropped tank, sun hat and loads of bracelets. Definitely on my current wish list. 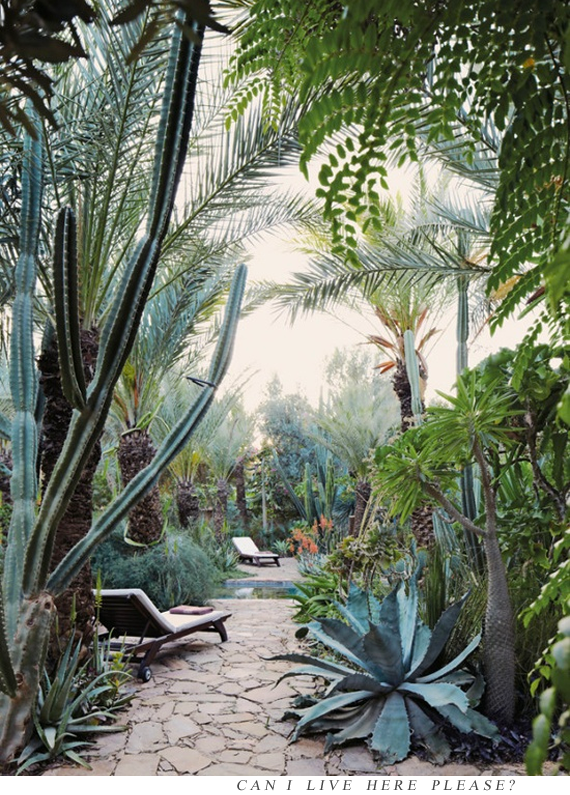 Anybody want to take a little trip to the foothills of the Atlas Mountains of Morocco and hang out in yards that look like this for a month or two? I'm in (as soon as that winning lottery tickets comes through). I'm all about homemade popsicles in the summer time. Yesterday, I shared a recipe for healthy popsicles made with avocados, lemon, and honey. 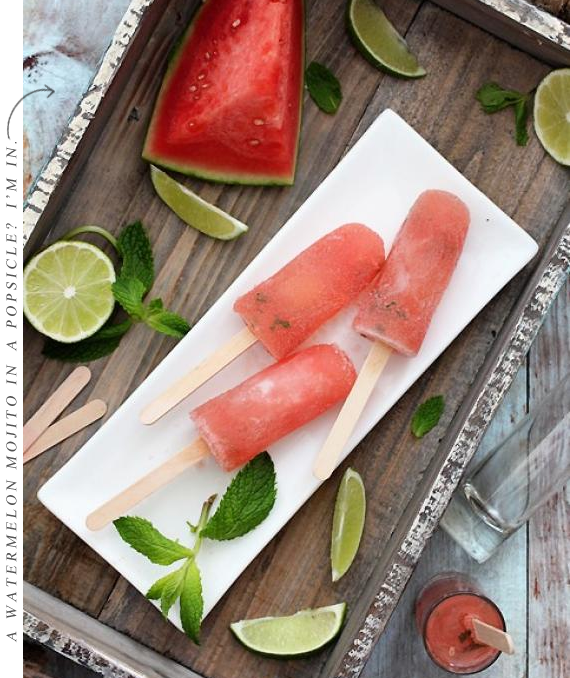 And then I stumbled upon this recipe for watermelon mojito popsicles, and had to share it too. Sounds like the perfect summertime party treat, don't you think? My home decor style is very neutral (our entire living room consists of three shades: black, white, and grey), and I'm thinking it could use a few pops of bright primary colors here and there. 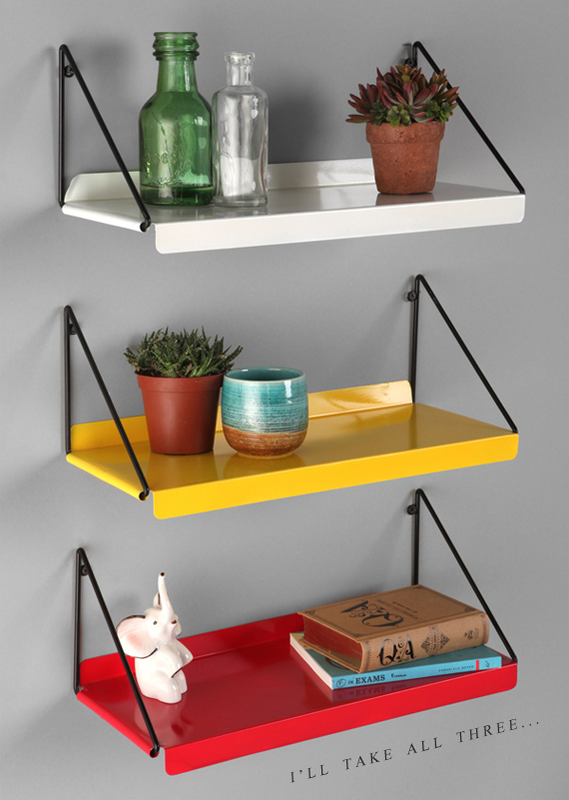 These modern wall shelves would definitely do the trick. I love that they're made of steel and have such a clean, industrial aesthetic. They'd look super cute in a kid's room too. I'm usually in the simple camp when it comes to jewelry. But this necklace is my kind of statement piece. I love the combination of different beads and muted colors. And I'm all about the adjustable length. I think it would look gorgeous paired with a crisp white shirt dress and metallic sandals. 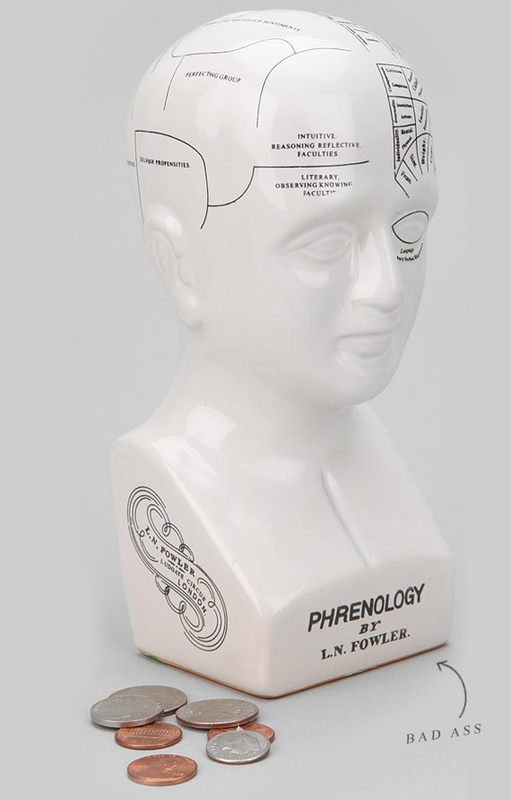 Because clearly I need a phrenology head bank. Really though, is it weird that I actually do want this? I think it's rad. Can a sauce technically count as being a favorite food? Because if it can, peanut sauce is my favorite food. I mean it. I could eat it straight, like soup. 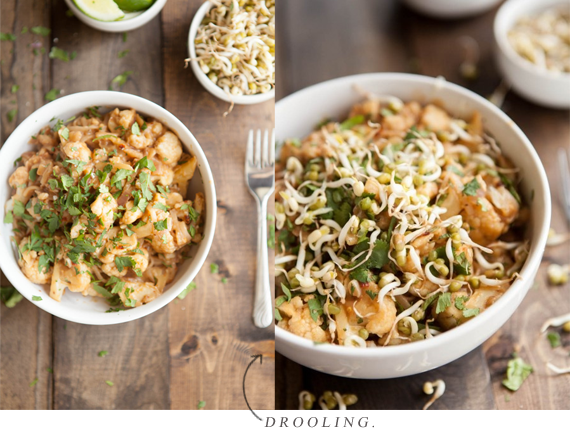 So when I came across this recipe for spicy peanut sauce with brown rice, noodles, and veggies, I immediately printed it out. I'm not very good in the kitchen, but it looks simple enough. It's on my weekend menu and I can hardly wait. Time for another edition of Friday is for Favorites! For new readers, 'Friday is for Favorites' is my (once upon a time weekly; then monthly; now more accurately occasionally) series where I become a rebel, and break all of my own rules of design cohesiveness to which I normally adhere on the Bubby and Bean blog. No themes, curated collections, or matching aesthetics here. Just a gathering of a few random things that I happen to be loving most this particular week, now shared with you. I should mention that my last Friday is for Favorites post dates back to March. Therefore, whether or not this can even still be considered a 'series' is a matter of opinion. But it feels good to be back, kids. What are your plans this weekend? Mine consist of a couple of graduation parties, a dinner date with friends tomorrow night, garden work and errands. I wish I could say they consisted of packing myself into my husband's suitcase so I could accompany him to the band's shows in Colorado this weekend, but alas. Their yearly Red Rocks shows have become a tradition of mine because I used to live in Colorado and have so many wonderful friends who still live there, but this time it's just not in the cards. A weekend is a weekend though, and I'll take a boring weekend close to home over a stressful work week any time. I hope the rest of your Friday is wonderful, and your weekend too. Yay summer! My plans this weekend probably consist of promoting our new fundraiser and getting all prepped for that. Lots and lots of planning going on 'round here. I do agree with you about the polar bears... I have a slight obsession with them, too, lol! 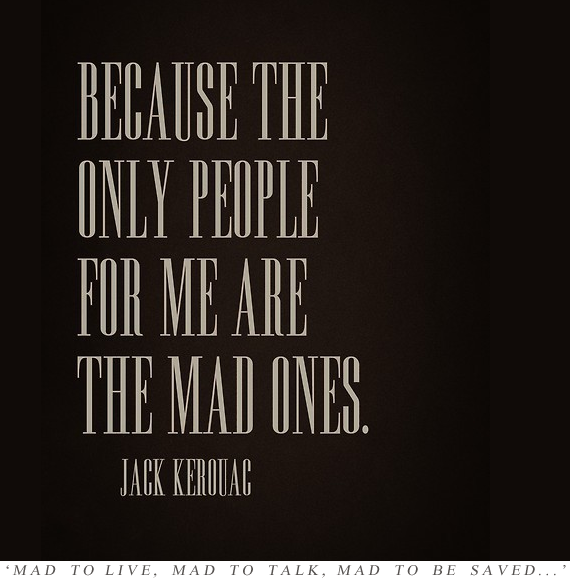 That is one of my favorite Jack Kerouac quotes. 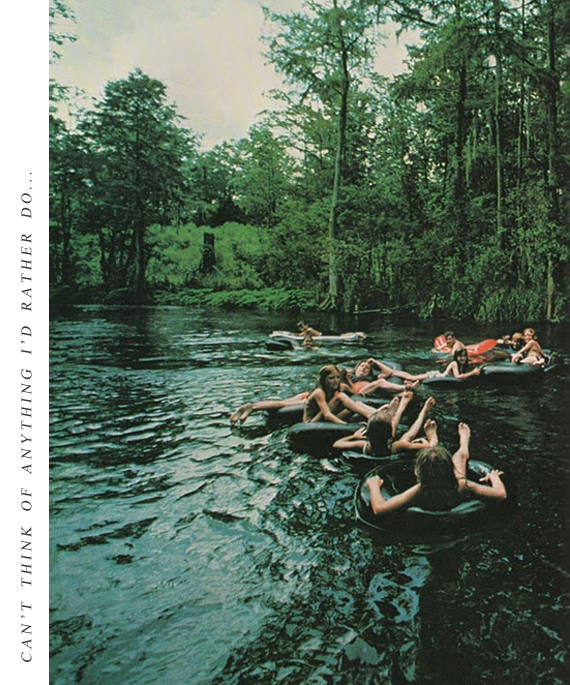 I also want to go floating on a river with my friends! I have a party to go to tomorrow and Sunday will consist of cleaning my house, yuck. I won't say 'no' to those popsicles! What fun finds! It's been way too long since I went tubing! Sounds like you have a fun weekend in store. I LOVE peanut sauce! It's the best and probably the only reason why I love pad thai so much lol. your weekend sounds very busy! maybe you'll get to go to red rock next year. 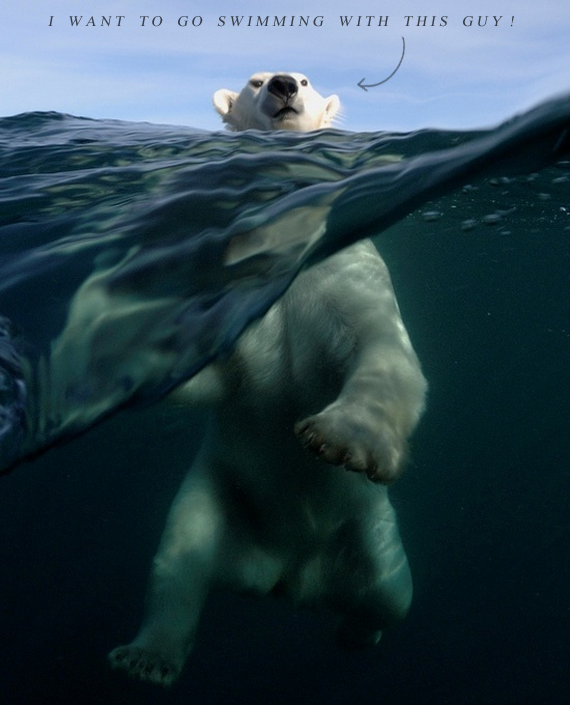 oh the polar bears, isn't it sad? hooray for homemade popsicles. 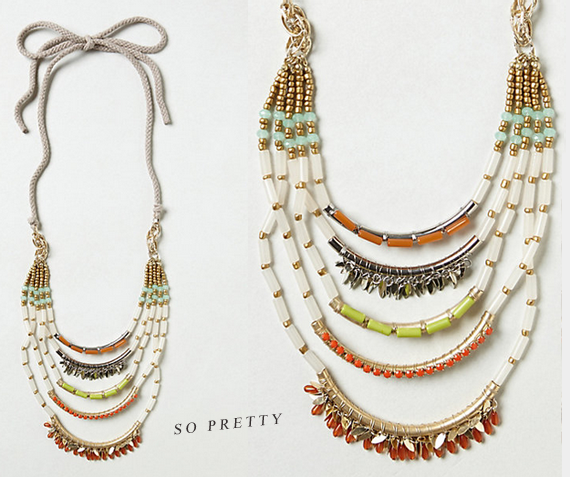 those necklaces are very pretty too. i have the Q & A book featured on the shelves photo. sigh for the Kerouac quote. it's been years since i've floated down an inner tube. That picture of the float trip looks so great! We have a canoe trip planned for 4th of July weekend and I really hope the river goes down so we can go! So fun and so relaxing! My mother-in-law went to a concert at the Red Rocks last year and just LOVED it! great picks. the overalls are divine and i love that bank. I totally have a phrenology head that looks identical to that, except it's not a bank. I got some weird looks when I brought it home, but I love it! I agree with you on the head bank - it is rad! i always love everything you share! Loved these pics :) Hope your having a great week!